The client is a global Tier-I automotive supplier of driveline and drivetrain systems and related components for vehicles. Client’s manufacturing plants are spread across the world including the ones in Pune, Chennai and Pantanagar in India. With world-class facilities, the company has highly stringent norms for clean air quality. SFS has been working with the client, since the time they started operations in India. 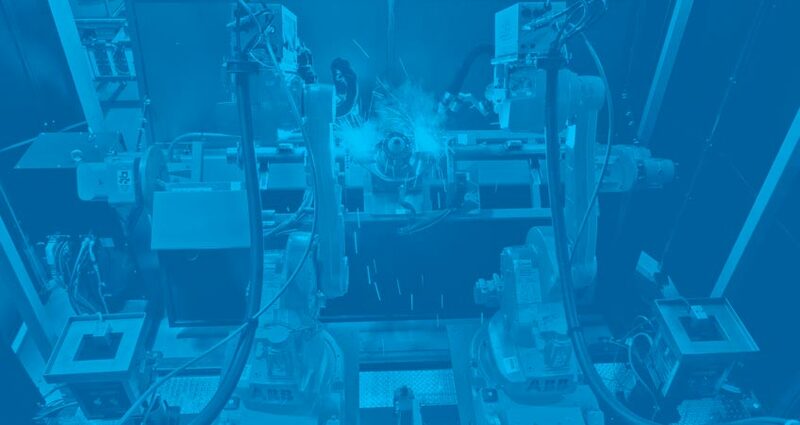 Client’s global norms mandated a fully automated fume filtration solution for its robotic welding processes in axle manufacturing. Together, with the client’s engineering team, SFS set out to develop the solution for the process. SFS conducted a detailed study and discussions with the client’s team on the equipment layout and welding processes. Based on the observations and inputs, SFS’s design team developed a smoke collection system, that could automatically move and capture the smoke at the point of creation. The automated smoke collection system consisted of hoods mounted on rails. As the robot began the welding operation, a signal actuates damper valve which in turn starts the suction pump. The hood moves to the robotic welding station, to capture the smoke as it is created. Moving hoods ensured that the smoke is collected at the point of creation throughout the entire length of the axle. Client’s shop floor had 4 robotic stations and one manual welding station. SFS solutions included two hoods for the robotic welding stations and one hood for the manual station. While the system gave excellent filtration performance, the safety of the structure had to be improved. SFS made detail notes on the scope to ensure the highest safety and redesigned the structure for safer and smoother movement of the hoods. The project was completed in two months and helped client in many ways. Although this system was able to deliver the purpose, there was a fault in it’s structure. The structure was not sturdy and hence was not safe for the operators and other machines present on the shop floor. SFS learned through their mistakes and decided to change the whole structure of the system to strengthen it. They also made the movement of hood a lot smoother than earlier. The whole project lasted for two months. The smoke collection for five welding stations was performed with 3 suction hoods, saving 40% on the initially budgeted costs. The automated movement of hoods ensured highly efficient suction thereby unleashing additional savings in terms of power and maintenance. The client’s team was highly satisfied with SFS’s solution and continues to work together for developing solutions for many other processes that need air filtration. SFS is now a key partner in providing air filtration solutions for a variety of industrial processes at client’s manufacturing plants.